Polymethylpentene (PMP) bottles offer excellent clarity, chemical resistance, and impact strength. Very transparent to microwave radiation. 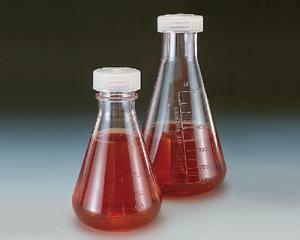 Both flasks and caps are autoclavable. Before autoclaving, set cap on top of flask without engaging threads.